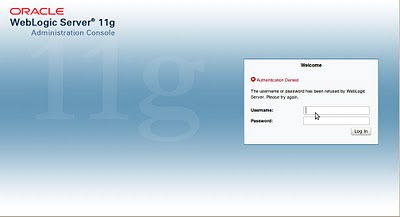 Forgot password to login WebLogic Server Administrator Console, After installed Oracle EM 11g Grid. $ java weblogic.security.utils.AdminAccount weblogic password . and then start WebLogic again. Thanks for your very kind&detail explanation. Excuse me, are you a WLS support engineer? I'm DBA. 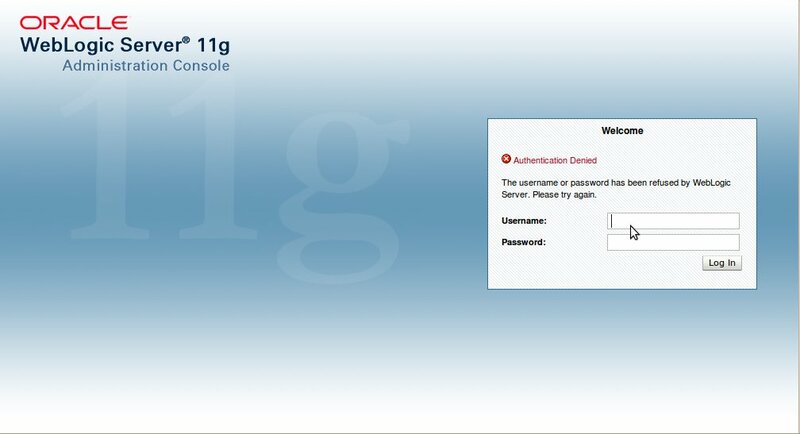 This was Oracle Grid 11g situation. I'm in Thailand. Nice to meet you. without new passwords in this file `emctl start oms` won't work. thanks, this got me in the ballpark and GC 11g wl admin works now! In your case: you should check log or error what you see. It's good idea, if you put error message. But I am not sure I can help you. My post in this, it's all about Weblogic. but your issue is about EM repository. Thanks a ton for this !! !